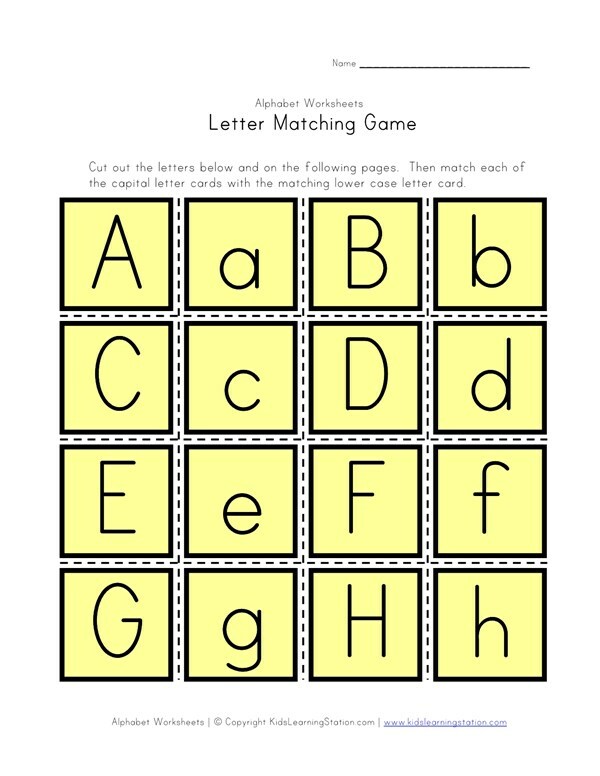 Kids will enjoy playing this simple letter matching game. Just cut out each of the letters on this printable worksheet and you have your letter cards. 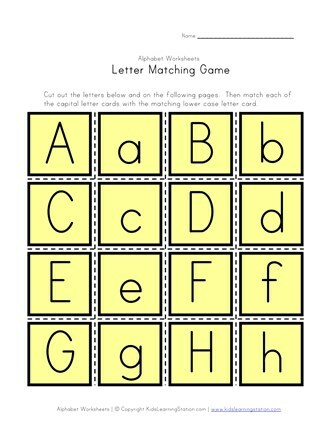 Then kids can try and match each of the capital letters with the appropriate lower case letter. You can use the letter matching cards to play alphabet memory matching game as well.